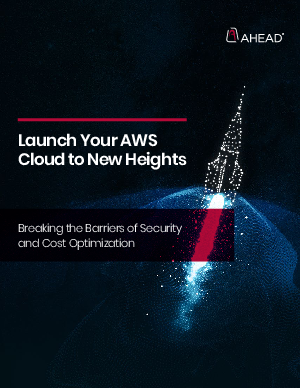 As organizations are moving to AWS to gain the operational efficiencies of the cloud, they’re realizing the importance of a well-architected framework. This framework, which consists of twelve pillars, is well-intended, secure, and compliant, but is not exactly easy to achieve. Our clients frequently tell us that two pillars in particular-- Security and Cost Optimization--are the most difficult to get right. This is partially because while advanced tooling is required to manage cloud complexities and compliance, selecting, deploying, and operating these tools is costly and burdensome. Without optimizing your environment for these two pillars, you are preventing your organization from scaling up. This has resulted in many businesses that are restricted to a minimal use of AWS, negating any benefit of having adopted the cloud in the first place. AHEAD uses the AWS Well-Architected Framework, which will walk you through missteps and how to get it right.